Home » Privacy » Did you download the Atlanta Hawks’ mobile app? Your privacy may be at risk… and you may be owed money! Have you downloaded the Atlanta Hawks’ mobile application? If so, your privacy may be at risk and you may be eligible to participate in a class action. 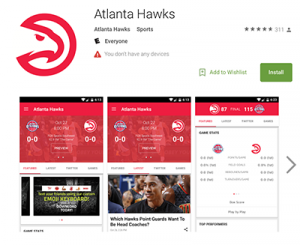 Attorneys have begun an investigation into several mobile applications issued by teams, including the Atlanta Hawks. Fill out the form on the right to have a free, no-obligation consultation with an attorney to learn more about the investigation and how you may be entitled to money damages!